Long, long time ago.... a group of MSX users were talking about the possibility of adopt the ".TZX" format in MSX, what we could name as ".TSX". Due to different reasons the project was forgotten. Now in the www.zonadepruebas.com Forum we are talking again about this possibility. There is a User that knows a lot about the ".TZX" Format and has a lot of experience managing this format. He has also created a tool in order to converte the ".TZX" Files to ".WAV" Files. The name of tha User in the Forum is "BlackHole". 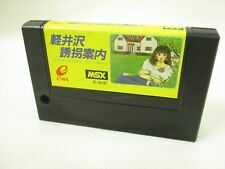 Recently BlackHole has read something about the "Kansas City Standard" and he has considered the possibility of adapt the ".TZX" format at the MSX necessities. At the moment BlackHole has just done a little test. He has make a ".TZX" file from the Game "Aufwiedersehen Monty". Due to the fact that there is not a tool to do this automatically BlackHole have done it manually, analizing the File, using an Hexadecimal Editor, using the CasTool Utilities, etc. The great new is that he has been able to obtain the ".TZX" File of that Game and he has converted the ".TZX" File to ".Wav" and it loadas perfectly in the "Open MSX" Emulator. This User, BlackHole, is doing as much as he can but unluckily he is not a MSX expert so he nedes help of the MSX Comunity in order to define the ".TSX" Format, about the differentes ways of protection in MSX Games, etc. The Forum is in spanish but if someone needs help with the translation, etc could ask me for help. You can use the sources of my SofaCas project if you want (you can find them here). It can convert WAV files or audio input to CAS files, and can also play CAS files to a WAV file or audio output. That's a Visual Studio project (Windows world), but the source code is generic C and could be easily ported to other platforms. I also posted a video on YouTube on how to convert a protected tape. That SofaCas project should have a good basis to analyze the sound, you "just" need to define your new format instead of the old CAS format, and how you'll detect and store the protected parts. I've played a bit with the .TZX files too (when adding extra Spectrum levels to the MSX version of the Laser Squad game), but did not analyze the format too much, just used some TZX2WAV & WAV2TZX tools. What do you think are the benefits of this format compared to .CAS? Only the support for protected games or something else? Another thing to consider is the ability to "play" those files on a real MSX. A nice thing with the .CAS files is that they can be loaded on an MSX machine, even if it's far from working 100%. Not sure if that's possible with a more versatile format (CAS files are just a sequence of bytes that can be returned by the emulated BIOS function). I also started a thread some months ago here about a format for protected cassettes which has some informations (or mainly questions :)). If you want I can provide you protected tapes WAV files for your tests. I know that in one hand we can talk about the Standard Formats (Bload, Cload, Load) and on the other hand a generic group that we can name as "Turbo Loads". In the Group of Turbo Loads I know that for instance we have the Gremin ones, that are really easy to break the protection and we have too Turbo Loads tha "Topo Soft" uses in their Games. What other protections types do you know? Having worked with both .CAS and .TZX files for my CASDuino/TZXDuino project there is no need for a .TSX format as .CAS works perfectly well and .TZX has become overly complicated over the years by people adding more and more. 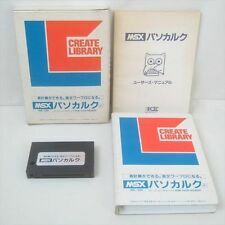 The MSX .CAS system is simple and works and I've never come across any protection other than code book protection etc. Could you give me an example of the complete command line to convert a Wav File to a Cas File? Have you thought the possibility of doing a GUI? Have a look at the SofaCas "usage" section on my website, or type "sofacas" without arguments to have help. SofaCas takes 2 commands (play or rec). I'm not planning on working on a GUI for SofaCas (other MSX projects in mind for now). Turbo loaders are indeed quite rare on MSX for some reason... I know that at least O.T.L.A. 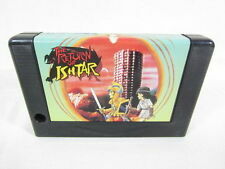 supports MSX as well. It sound a bit strange to add the "i" before of the "file.wav". In Argentine, many games were sold at shops (without permission) on cassettes, all with turbo loaders... Look for Real-Time and Red-Point. We have decided to adopt the name ".TSX" to distinguish the extension of the MSX Files from the ".TZX" Files of Spectrum.